The Patient Protection and Affordable Care Act (ACA) established the Transitional Reinsurance Program to help stabilize premiums in the individual private and public marketplaces. 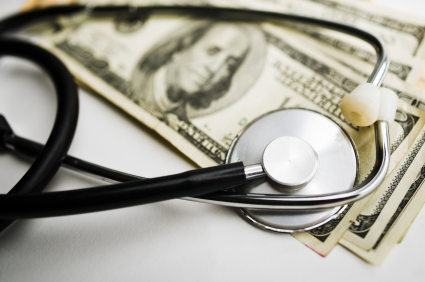 The Transitional Reinsurance Fee (TRF) applies to fully insured and self-funded major medical plans for 2014, 2015, and 2016, regardless of the policy or plan year. Insurers of fully insured major medical plans and sponsors of self-funded major medical plans are responsible for filing and submitting contributions for the Transitional Reinsurance Program. Self-funded plans include those plans that are partially self-insured and partially fully insured. (There is a limited exception for certain self-insured, self-administered plans.) The self-funded plan’s TPA may assist with the calculation and pay the associated fee on behalf of the plan sponsor. For the 2014 calendar year, the contribution fee was $63 per covered life. The 2015 contribution fee is $44 per covered life, and the contribution fee will be $27 per covered life for 2016. The fee is tax-deductible as a business expense. A plan sponsor may treat the contributions as ordinary and necessary business expenses, subject to any applicable disallowances or limitations under the Internal Revenue Code. This treatment applies whether the contributions are made directly, through a third-party administrator (TPA), or through an administrative-services-only contractor. Plan sponsors must maintain paper or electronic records to substantiate the enrollment count on which the fee is based for at least 10 years. The Department of Health and Human Services (HHS) gives plan sponsors the option of either paying the fee in full or in two installments. The plan sponsor’s decision is reported at the time the sponsor submits the Contribution Form. If the plan sponsor chose to pay the 2014 fee in full, the payment was due on January 15, 2015. For plan sponsors who chose to pay the fee in two installments, the first installment of $52.50 per covered life was due on January 15, 2015. The second installment of $10.50 per covered life is due on November 15, 2015. For the 2015 payment of $44 per covered life, the plan sponsor may pay the total amount on or before January 15, 2016. If the plan sponsor is making two payments, the first installment of $33 dollars per covered life is due January 15, 2016; the second installment of $11 per covered life is due no later than November 15, 2016. For comprehensive information on how to calculate covered lives for this fee, including the acceptable methods, request UBA’s ACA advisor, “Frequently Asked Questions about the Transitional Reinsurance Fee (TRF)”.